We’ve invested on upgrading the new premises to provide our shoppers with the best experience possible. The modernised interior is highly inviting with lots more floor space, to showcase our wider collections. 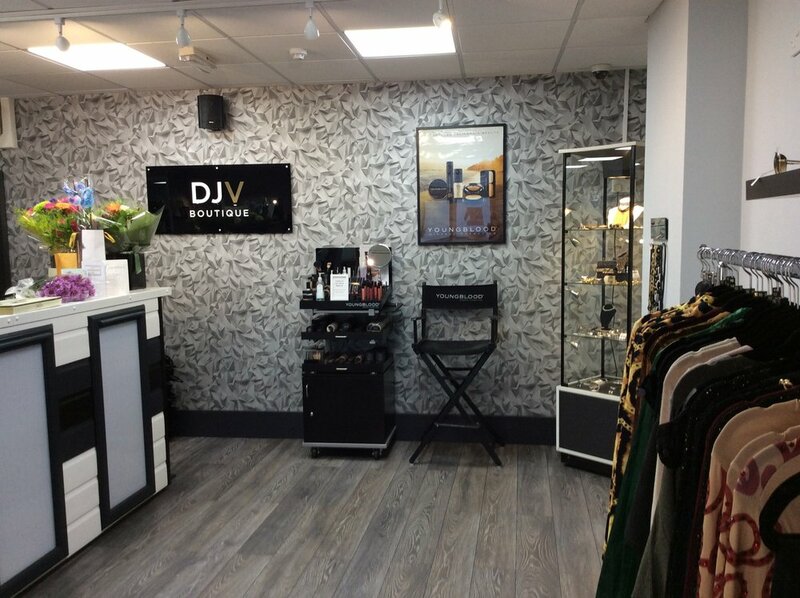 We’ve more than doubled the area in our luxurious changing area and now have a dedicated DJV experience room, where we’ll carry out our styling packages and professional makeovers going forward. We’re delighted to have introduced reputable fashion brand ‘French Connection’ which is already proving to be very popular amongst the fashion connoisseurs. With a fast evolving fashion retail industry I wanted to ensure that we continued to move with the times, therefore changing our name was high on the agenda. DJV (Daring, Jazzy, Versatile) is the modernised version of our previous name and more representative of what we have to offer; an exciting range of Fashion, Bags and Accessories to inspire. DJV continues to embrace ethical beauty and remain stockists of eco icons Youngblood Minerals and Zoya Nail Collections, both brands being chemical and cruelty free as well as vegan friendly. Call in and see us soon to access a new world of fashion (in Ipswich!